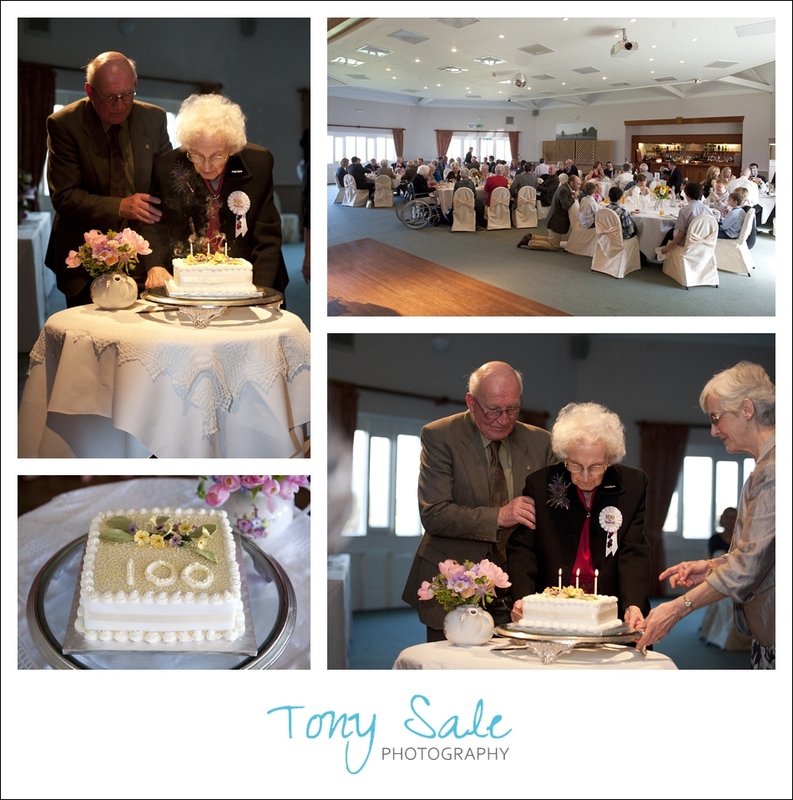 I recently photographed the Kitty’s 100th birthday celebration a wonderful lady, mother, grandmother and great grandmother from Coggeshall in Essex and I have to say it was a real privilege to be a part of the day and the celebrations. She was then chauffer driven to the Colne Valley Golf Club in Earls Colne where a surprise party had been arranged. Family and friends had come from all around the country and indeed the world to share this special day with her and it was a great opportunity to capture some family portraits as well as individual portraits of all the guests. I know she derived much pleasure from looking at these in the days and weeks that followed. 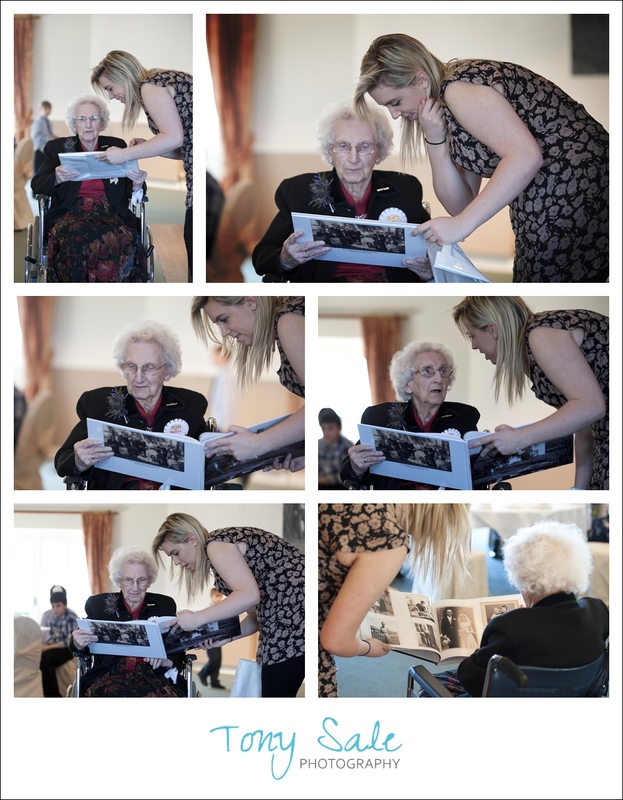 As part of the celebration Kitty was also presented with a photo book which was a chronological presentation of photographs detailing her life from a young child through to the present day and including details of her children, grandchildren and great grandchildren. The book was actually designed and produced by me following the collection of lots and lots of old family photos. I look forward to showing details of this in a later blog post. I know it meant a lot to Kitty and she has treasured it ever since. One of Kitty’s grandchildren had written a poem about Kitty’s life which she presented and read out for all to hear. I have included the text of the poem below. 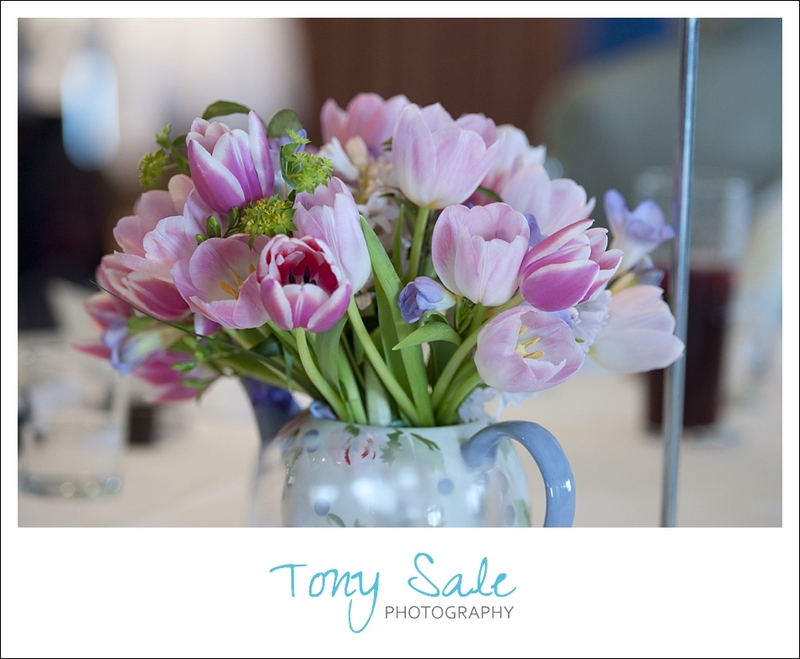 If you have a special event or birthday coming up and would like to capture those special moments then please do get in touch. 100 year old Kitty reads her message from the Queen and admires her birthday cards and flowers. Kitty looks fantastic as she poses for some natural light birthday portraits. Kitty’s birthday celebration provided a wonderful opportunity for lots of family group portraits, with all the different strands and generations of her family. 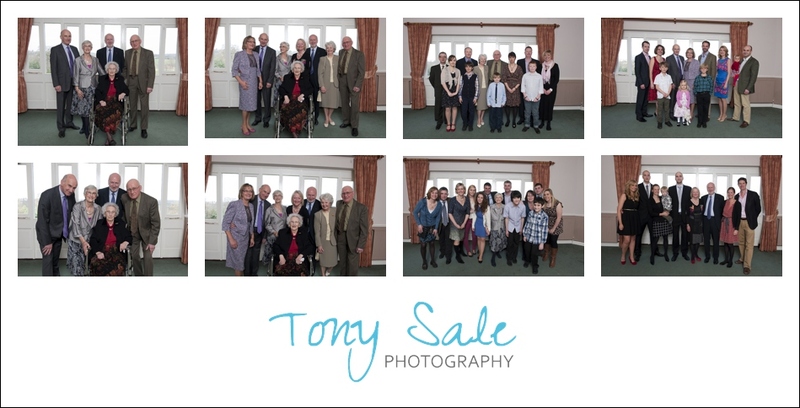 It was a wonderful oportunity to photograph individual portraits of friends and family who attended the celebration. Helped by her eldest son Jim, Kitty blows out the candles on her cake. Also a great shot of the wonderful room setting at the Colne Valley Golf Club. 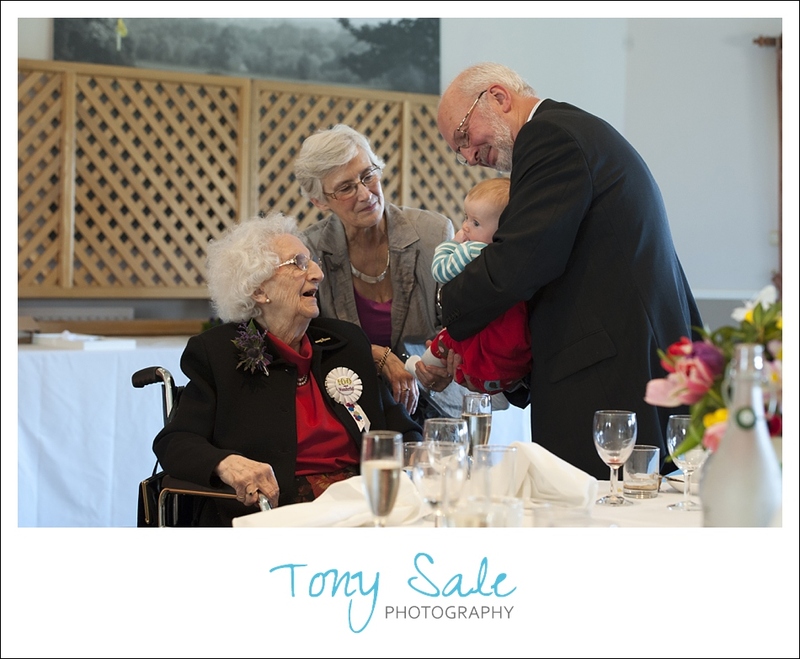 Kitty is presented with a photographic record of her life, a specially made book by Tony Sale Photography, made up from photographs submitted by all of her children and their families. About a great lady you all know well! Of the thirteen grandchildren, what a crowd! So that’s a long time ago! 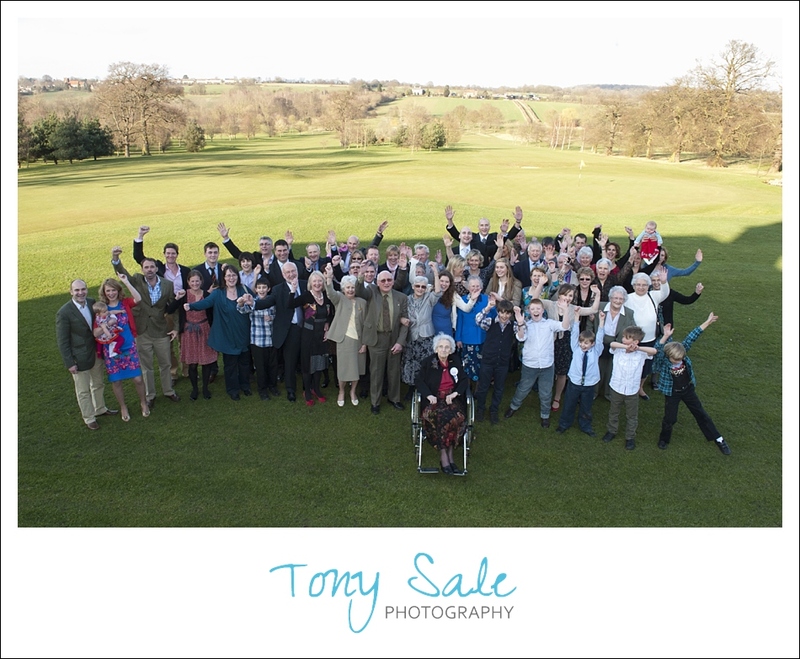 The Colne Valley Golf Club provides an excellent backdrop for a group photograph of all the guests. 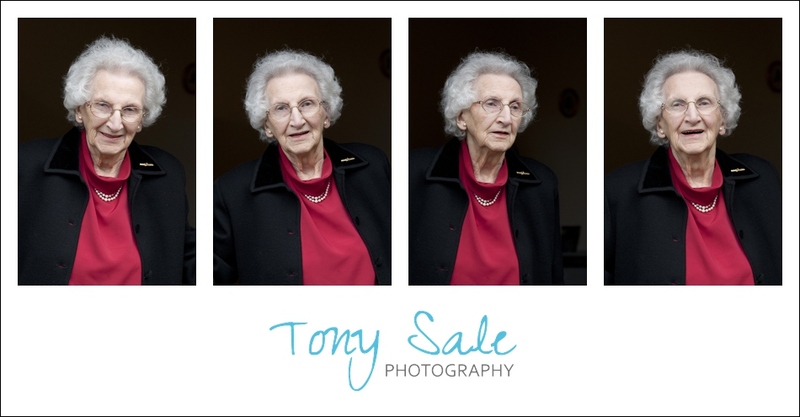 If you are holding an event or would like to know more about portrait photography then why not get in touch, phone me on 01787 474923 or send a message via the contact form.